Ulster have named a second-string side that includes five debutants for their PRO12 trip to Dublin to face Leinster on Boxing Day. Ulster have named a second-string side that includes five debutants for their RaboDirect PRO12 trip to Dublin to face Leinster on Boxing Day. With a hectic festive schedule that comprises two games in the space of just four days, coach Brian McLaughlin has had to make full use of his entire squad. Following the Boxing Day match in Dublin, Ulster will face Munster at a sold out Ravenhill on Friday, December 30. There will be three debutants in the back division against Leinster; centres Chris Farrell and Michael Allen, along with full-back Peter Nelson who has impressed for the Ravens in their British & Irish Cup campaign. Elsewhere in the backs, Simon Danielli is restored to the team and will start on the left wing. Up front, Callum Black - who arrived in Belfast during the summer from Worcester - will make his senior Ulster debut at loosehead prop, while Academy player Ali Birch is handed his senior bow at openside flanker. Meanwhile, Leinster's Gordon D'Arcy is selected at centre in a starting line-up which shows several changes to the side which defeated Bath in the Heineken Cup last time out. David Kearney starts on the right wing after scoring a brace of tries against Cardiff Blues earlier in the month and forms a back three with Fionn Carr and Luke Fitzgerald. Eoin Reddan and Ian Madigan link up at half back while up front Cian Healy starts in the front row alongside fellow Ireland players Sean Cronin and Mike Ross. Shane Jennings leads the side. 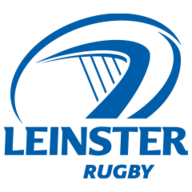 Leinster: 15 Luke Fitzgerald, 14 David Kearney, 13 Fergus McFadden, 12 Gordon D'Arcy, 11 Fionn Carr, 10 Ian Madigan, 9 Eoin Reddan, 8 Leo Auva'a, 7 Shane Jennings (capt), 6 Kevin McLaughlin, 5 Devin Toner, 4 Damian Browne, 3 Mike Ross, 2 Sean Cronin, 1 Cian Healy. Replacements: 16 Richardt Strauss, 17 Jack McGrath, 18 Jamie Hagan,, 19 Steven Sykes, 20 Rhys Ruddock, 21 Isaac Boss, 22 Eoin O'Malley, 23 Andrew Conway. 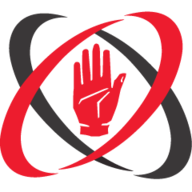 Ulster: 15 Peter Nelson, 14 Chris Cochrane, 13 Michael Allen, 12 Chris Farrell, 11 Simon Danielli, 10 James McKinney, 9 Paul Marshall, 8 Robbie Diack, 7 Ali Birch, 6 Neil McComb, 5 Lewis Stevenson, 4 Tim Barker, 3 Adam Macklin, 2 Nigel Brady (capt), 1 Callum Black. Replacements: 16 Niall Annett, 17 Jerry Cronin, 18 Tom Court, 19 James Simpson, 20 Conor Joyce, 21 Ian Porter, 22 Stuart Olding, 23 Conor Gaston.